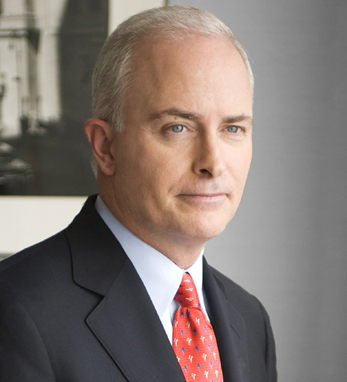 Bob McCann is the CEO of UBS Group Americas and Wealth Management Americas. He is also a member of the Group Executive Board of UBS AG. Bob leads a workforce of over 22,000 people across the region and is responsible for executing a cross-divisional strategy to fully integrate UBS’s platform for the benefit of individuals, corporations, institutions and governments. Bob is involved in several charitable organizations, with a focus on those fostering education. He serves on the Executive Committee of the board of directors of the American Ireland Fund, is vice chairman of the board of trustees of Bethany College, and is a member of the board of trustees of the Catholic Charities of the Archdiocese of New York. He also serves on the Committee Encouraging Corporate Philanthropy and is a member of the President’s Circle of No Greater Sacrifice. A third-generation Irish American with roots in Co. Armagh, Bob received his B.A. in economics from Bethany College and an MBA from Texas Christian University. He is a dual citizen of the U.S. and Ireland. Bob and his wife, Cindy, have two daughters: Meredith, who lives in New York, and Madeline, a senior at Bucknell University.